Microsoft has officially unveiled its LifeCam Cinema webcam – bringing widescreen 720p technology to its range of peripherals. 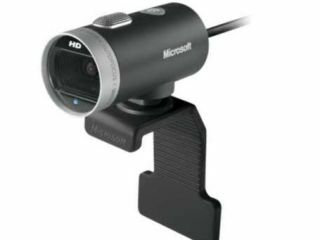 The new webcam offers a native 720p sensor, which Microsoft hope will tap into the growing desire of the public to post their videos online. "When we started working on LifeCam Cinema almost a year ago, we were motivated by the fact that new computer displays were predominantly widescreen and top social networking sites were allowing widescreen video," said Stuart Milton, systems engineer for Microsoft Hardware. "LifeCam Cinema sets the stage for the next generation of webcam use: uploading widescreen videos with amazing quality to social networking sites and soon chatting live with friends and family in widescreen format," he added. TechRadar has had a play with the new rather nice camera and Microsoft has also pushed out the LifeCam VX-800 and LifeChat LX-1000 as well. The LifeCam Cinema is priced at £69.99, LifeCam VX-800 at £19.99 and LifeChat LX-1000 at £16.99. But remember people, posting naked footage of yourself on the internet is neither big nor clever – especially in widescreen.